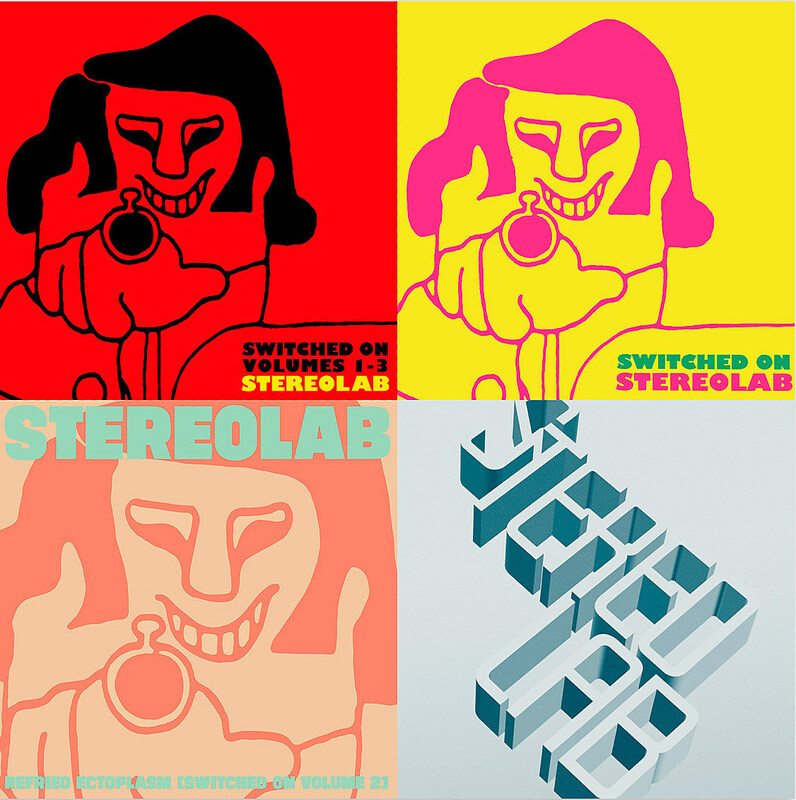 Stereolab were a meticulous band in pretty much every way imaginable, from the recording to the mastering of the records to the artwork. While there have been reissues of their Elektra Records releases — like Emperor Tomato Ketchup and Dots & Loops — they were done without the band’s involvement and of varying quality. Good news, the group’s own label, Duophonic, will be releasing official remastered vinyl editions of Stereolab’s myriad releases, and they’ve just announced the first of these, the “Switched On” series — 1992’s Switched On, 1995’s Refried Ectoplasm and 1998’s Aluminum Tunes — which will be out September 28. The Switched On records collected Stereolab’s many non-LP A-sides and B-sides. For a band with such a prolific output, they maintained serious quality control and there’s so much great stuff across these three collections — I’m partial to Refried Ectoplasm, but all three are worth owning and really chart the band’s progression from motorik krautrock analogue synthesizer obsessives to ones who incorporated a wide variety of influences (country, bossa nova) into their still-distinct sound. Pre-orders are available now and a three-LP bundle comes with stickers and a pretty sweet tote. Let’s hope the rest of their catalog follows soon. You can check out tracks from all three below.